How do I find my advisor on Student Planning? Log in at https://ss.risd.edu/Student/ using your RISD username and password. 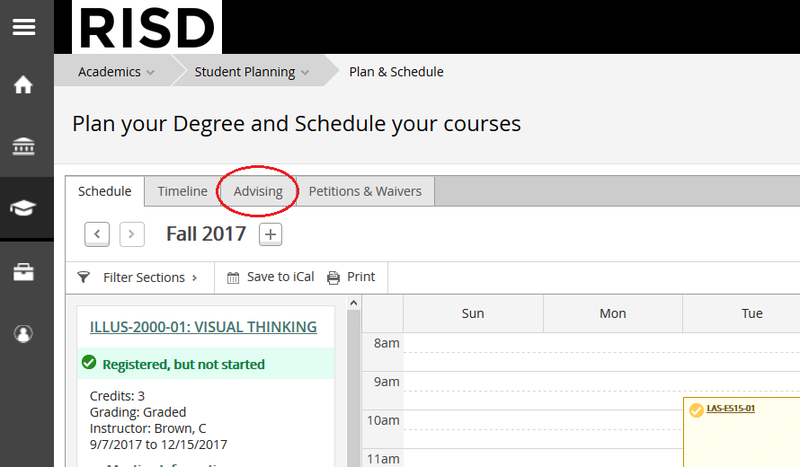 Hover over the “Student Planning” menu to activate the dropdown menu. Select “Plan and Schedule.” Or, select “Go to Plan & Schedule” directly from the landing page. Your Advisor(s) will be listed here.